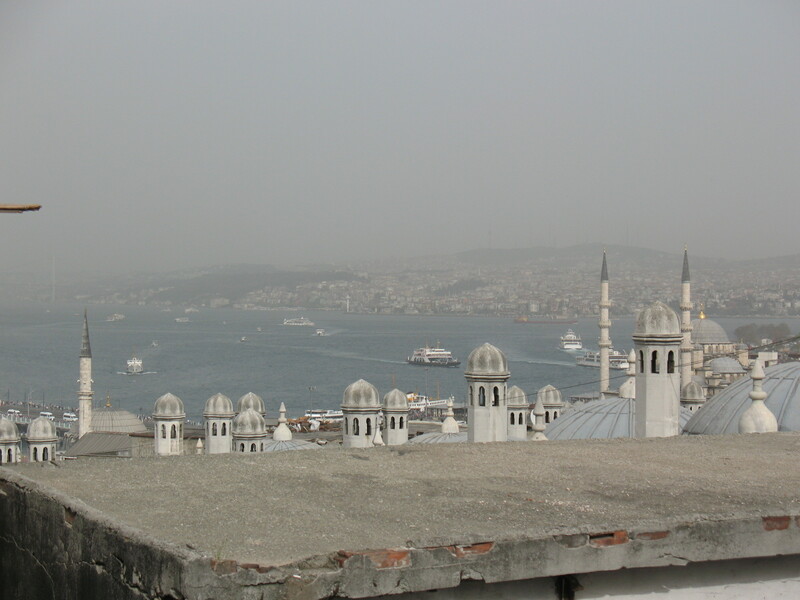 Our third day in Istanbul was rainy and chilly. 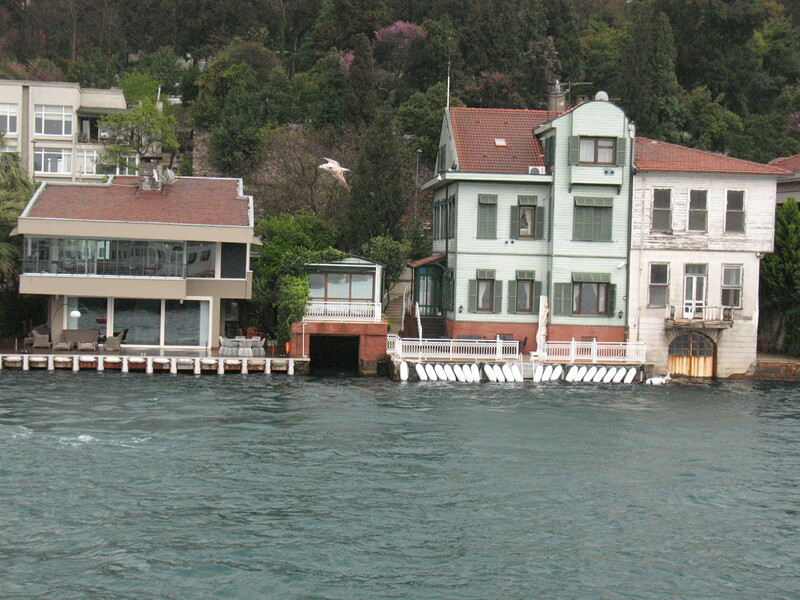 Our big plan for the day was to take a ferry cruise up the Bosphorus almost to the Black Sea. But first we scurried into the Underground Cistern, a remnant of the reservoir that supplied the palace complex with water. 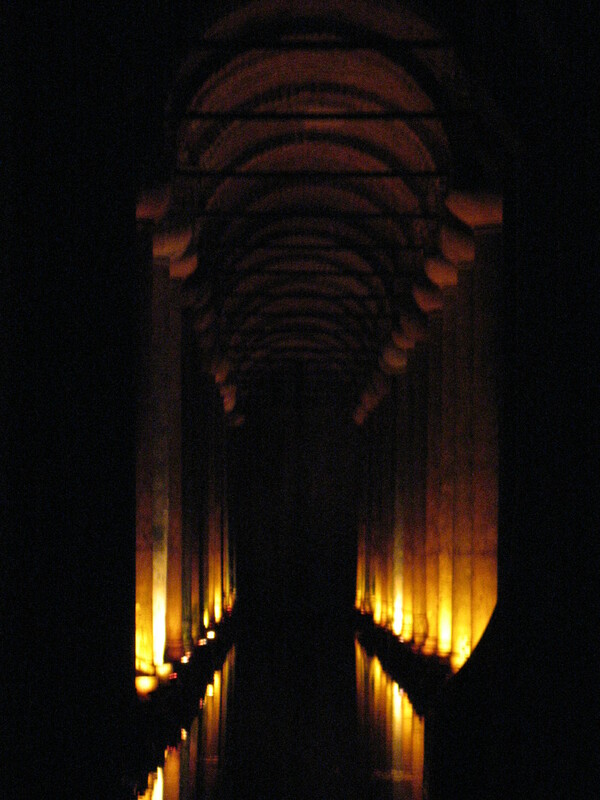 Repurposed columns support the structure, and in one corner two Medusa heads are used as column bases. 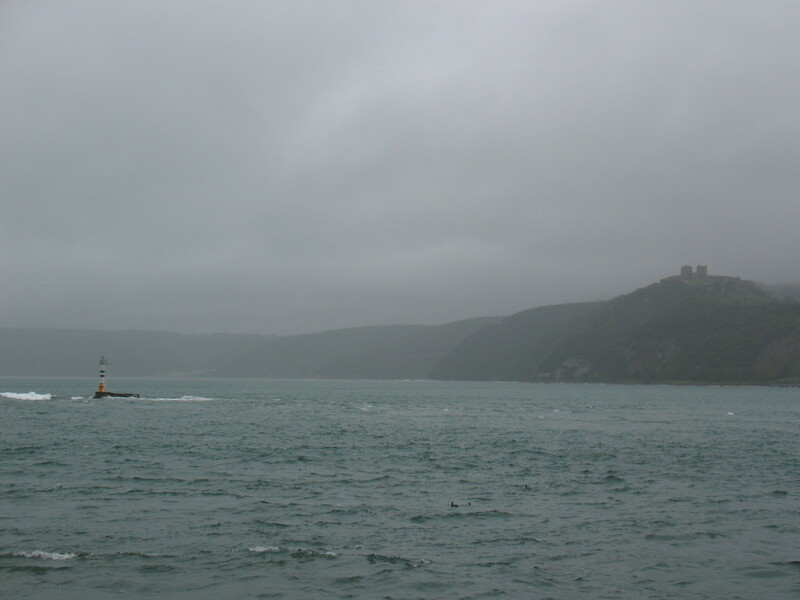 Due to the weather and to being a Monday, the Bosphorus cruise ferry was mostly empty. 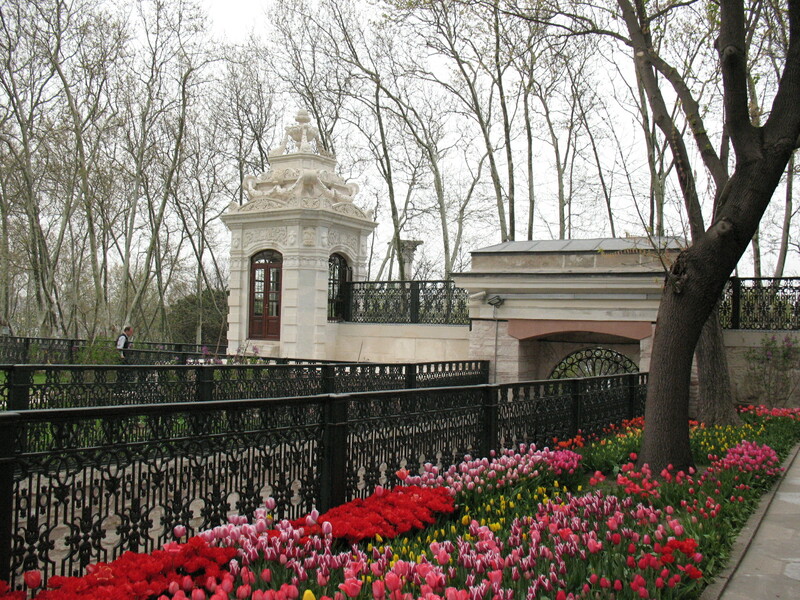 Armed with our guide books, we braved the chilly outdoor seating for the best views of the mansions which line the Bosphorus, called yalıs, as well as other sights. 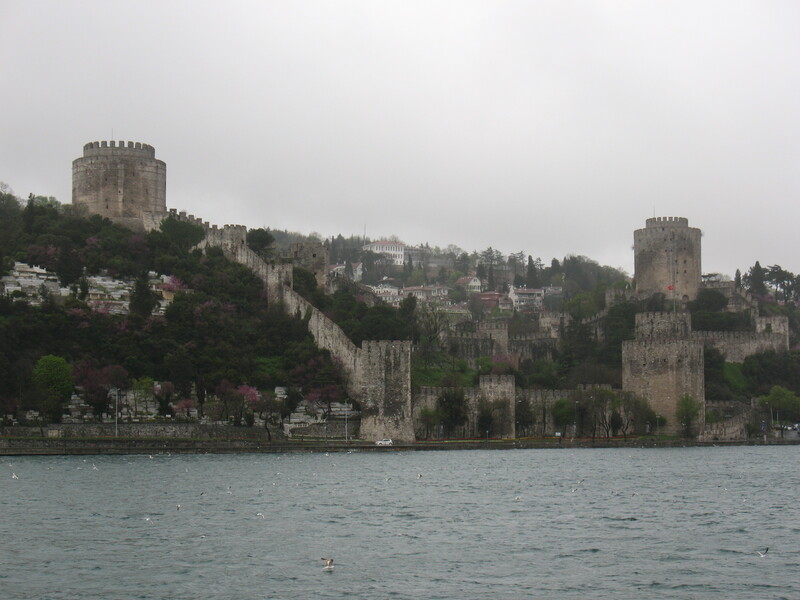 Rumeli Fortress, built by Sultan Mehmet II as his Ottoman empire prepared to conquer Constantinople. There are garages for the boats! 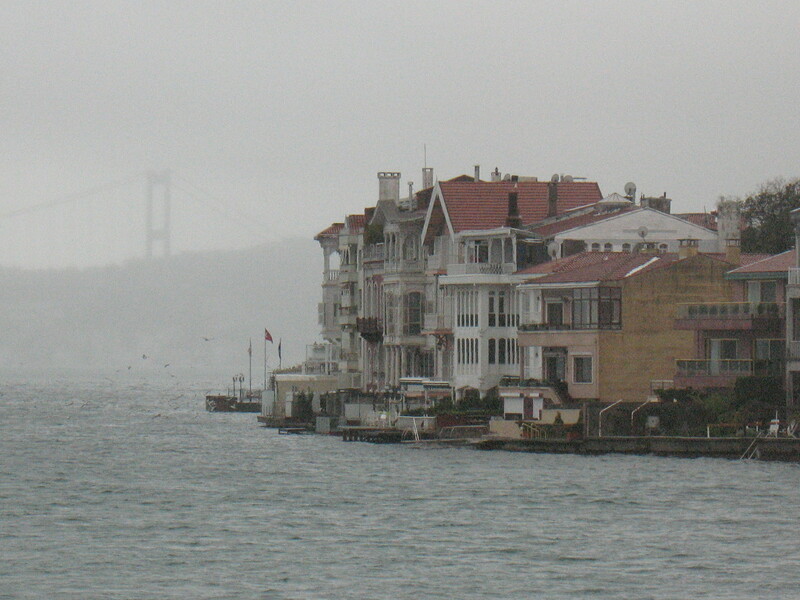 A row of yalıs with a suspension bridge in the background. 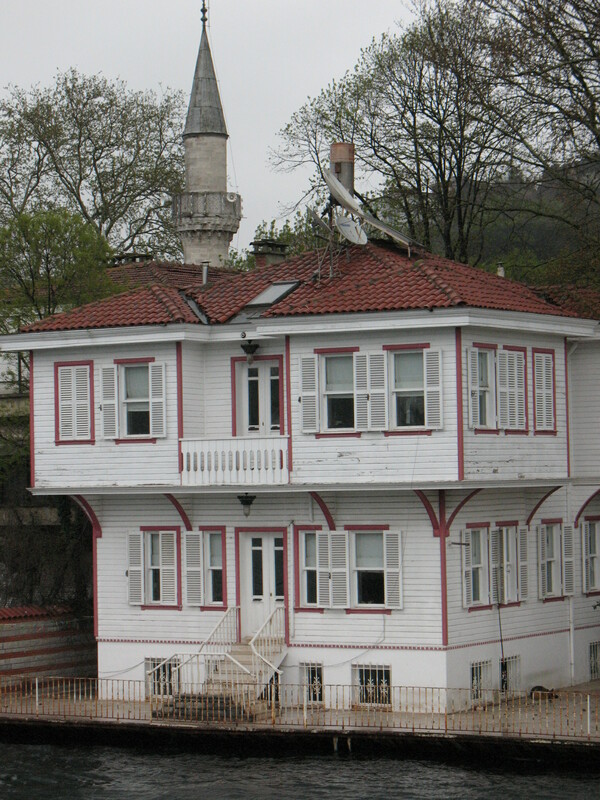 The boat’s last stop on the cruise was a village called Anadolu Kavağı. Before we docked there, we had a nice long look at the horizon where the Bosphorus met the Black Sea. The Rick Steves’ book had refreshed our memory on the story of Jason and the Argonauts, and how they were guided by the goddess Athena through the Symplegades (the Clashing Rocks) on their journey to the Black Sea. The moody landscape definitely enhanced our sense that we were looking at a place steeped in mythology. 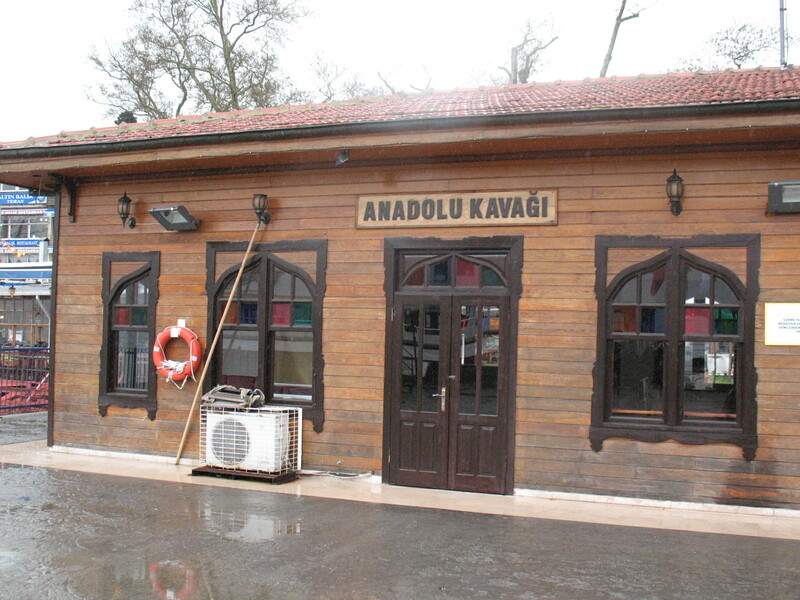 We had a couple of hours to spend at Anadolu Kavağı before the ferry returned to Istanbul. As we were a very small crowd of passengers, we were soon besieged by restaurant staff eager to get us into their particular cafe. We settled for a restaurant by the water, where we could watch cormorants diving for fish. 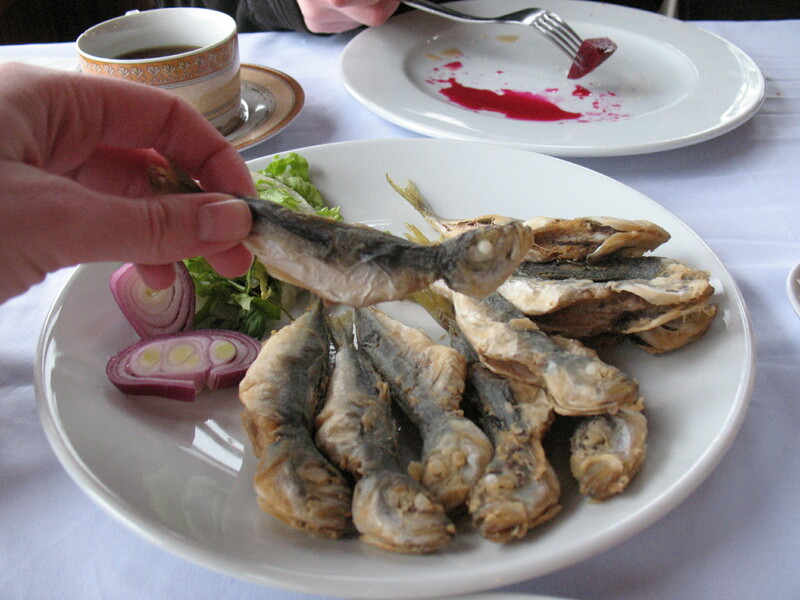 A plate of fried istavrit (a type of mackerel). 2009. Little, Brown and Company. Paperback. 563 pages. This very popular book has been on my radar since the year it came out, thanks to the championing of several fellow book bloggers. My enjoyment of YA literature is hit-or-miss however, so it was the recommendation of my co-worker Kim that finally pushed me to pick this book up, just as the movie was coming out. Although Kim acknowledged it wasn’t perfect and had some ridiculous elements, as a Southerner herself, she found the Southern Gothic atmosphere set this book apart from other YA novels she’s read. 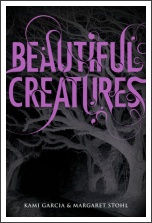 Beautiful Creatures is told from the first-person perspective of Ethan Wate, a teenager in a small Southern town who can’t wait to escape the oppressive social structures of his school and community. A mysterious new girl, Lena Duchannes, arrives to quickly capture his attention and affections. Lena turns out to have supernatural powers, and this secret is barely kept under wraps, turning the whole of the town against her, her family, and Ethan. I struggled through Beautiful Creatures. It is terribly angsty, and needed to be pared way the heck down. Where just a couple of sentences would have sufficed to convey a feeling, there would be a paragraph or two. Things were spelled out that didn’t need to be, and the suspense was so belabored in execution, it just became annoying instead of hair-raising. There were some fantastic sequences in this book, to be sure, but they were muffled by so much nonsense. I especially despaired over the high school drama, which included the tired cliche of a group of mean-girls who dictate the opinions and actions of the entire school body. Please. The best parts often involved the adults: Lena’s uncle coming to her rescue during a school dispute; Ethan is visited by a friend’s mom and his house starts acting weird; a ghost appears in a cemetery. There’s also a switch in perspective near the end of the book that was unexpected and a welcome new wrinkle. I will not be reading the sequels. I will probably watch the movie, not because I expect it to be great, but there’s a possibility it will be better than the book anyway. I think the story might work better visually than on the page. I hope they keep some of the best scenes and, being a movie, have edited out all the bloat from the book. Thanks to jet lag, we all overslept the next day, which meant that a couple of sites were knocked off that day’s docket. 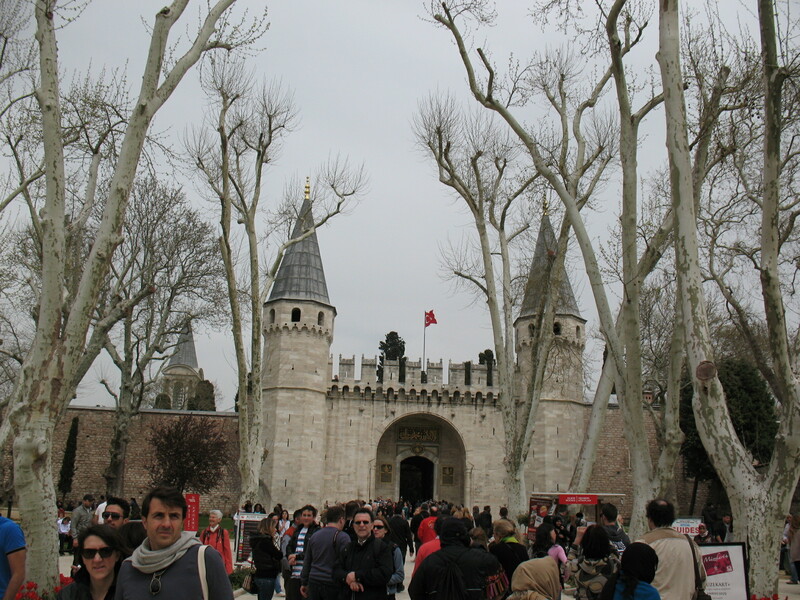 We joined the throngs of tourists at Topkapı Palace, home of the Ottomansultans for centuries. We shuffled through the lines in the Imperial Treasury exhibit and the Hall of Holy Relics. The treasures were pretty amazing – jewel-encrusted swords, daggers, helmets and a bowl of large emeralds. My favorite part about the holy relics exhibit was the fact that there is an imam chanting verses from the Koran 24/7, and has been since the 16th century. Such unbroken tradition for so long is fascinating to me. 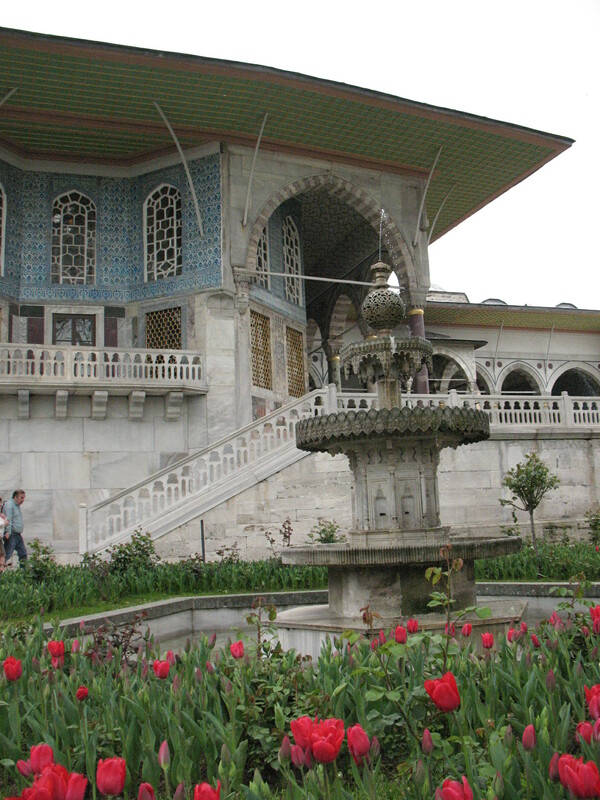 We lost track of time in the pavilion area of the palace, and the Harem closed before we got to it. 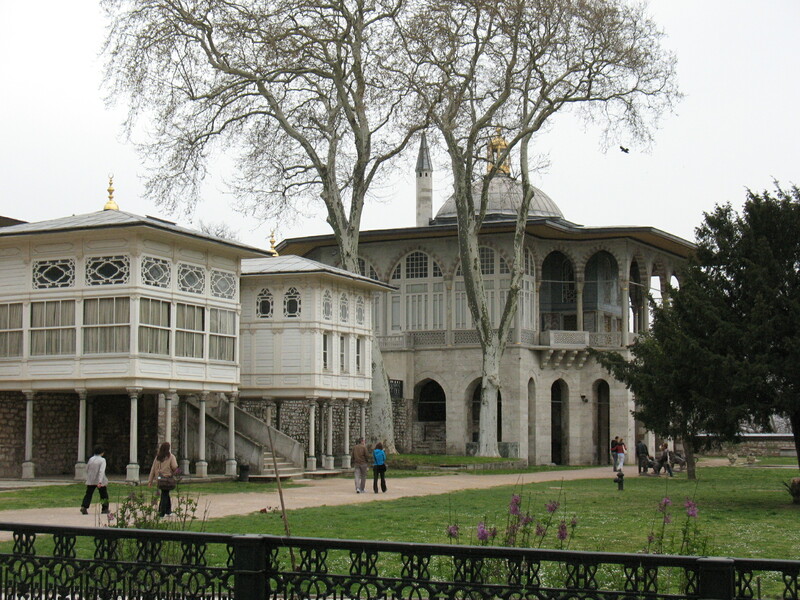 (The Harem portion closes an hour before the rest of the palace). That was disappointing, but we didn’t beat ourselves up too much about it. 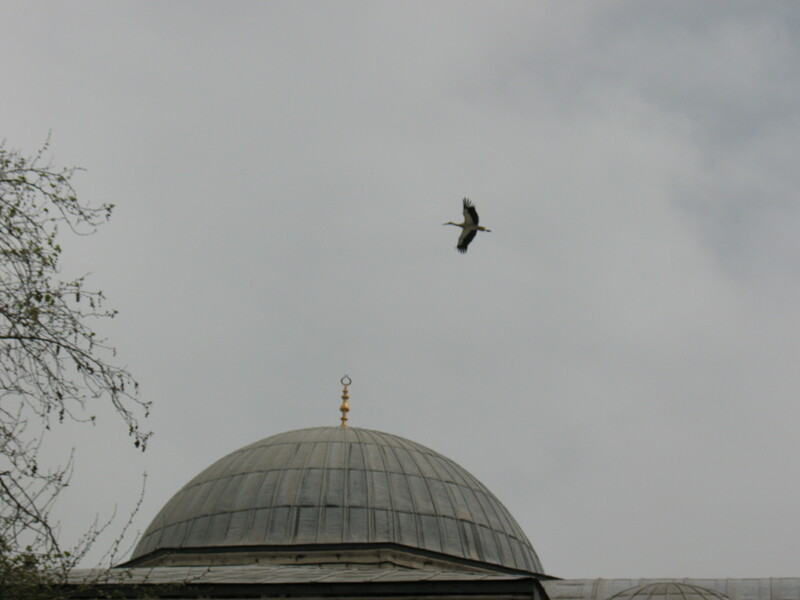 Stork flying over one of the domes at the palace. 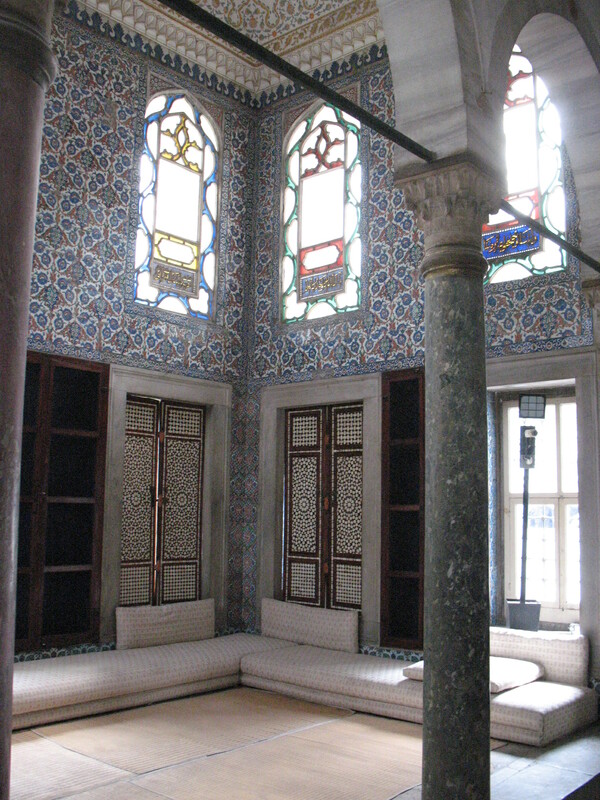 The Library of Ahmet III. Apparently BYOB – bring your own book. 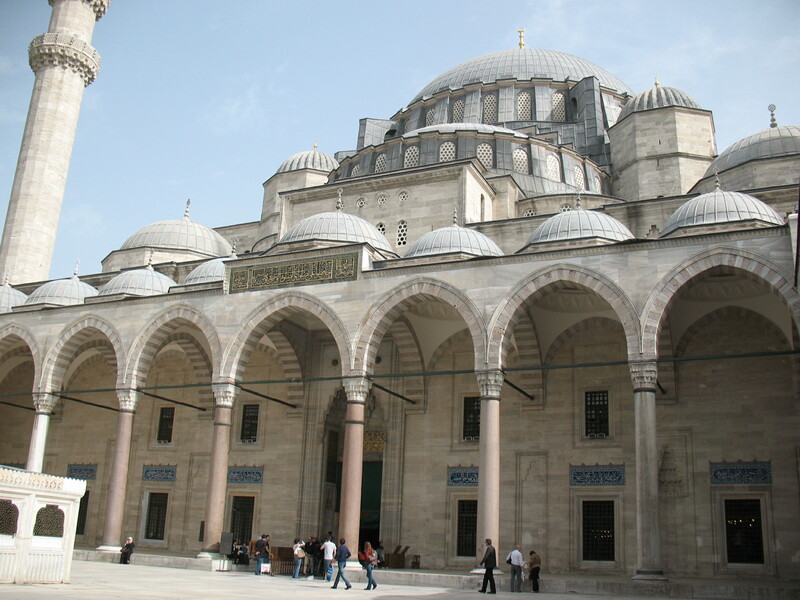 By the time we left Topkapı Palace, the nearby Blue Mosque had entered into a time of worship service. We ate dinner and then returned. 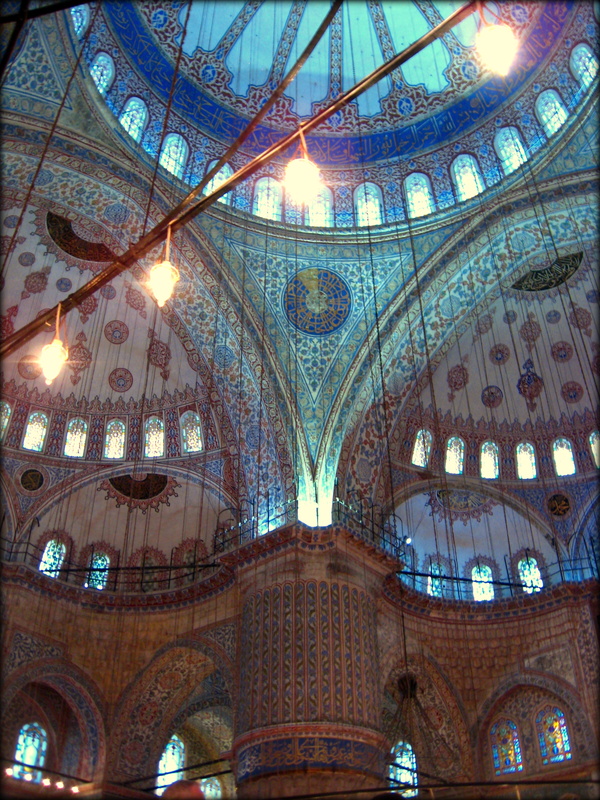 My sister snapped this fantastic photo of the Blue Mosque interior. We returned by ferry to Kadikoy, taking a little time to explore one of the landmarks of that area, Haydarpaşa terminal before getting some dessert and then retiring for the day. So I have some excuse for not posting in a while. 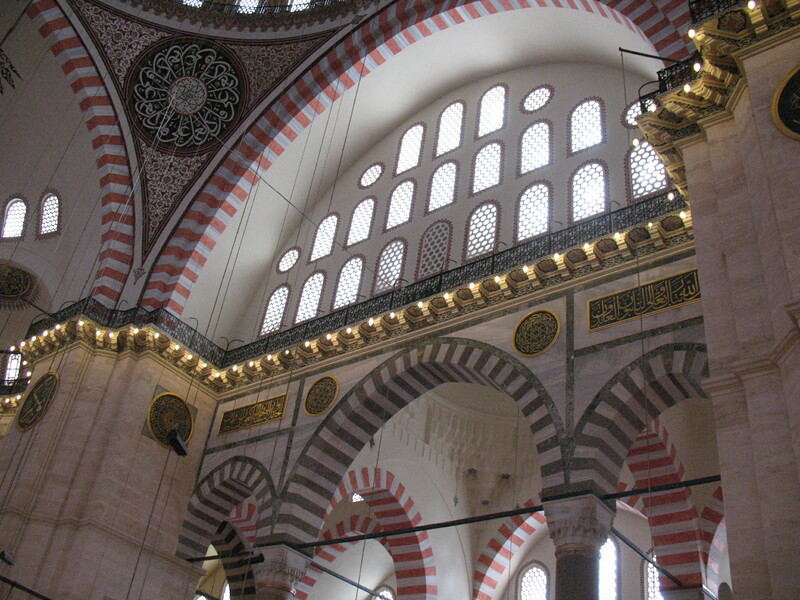 In the early part of April, I went on a trip to Istanbul and then to Jordan. My younger sister has been living in Jordan for a little while, so the primary goal was to see her and sight-see with her. My friend Jen also came with us. I thought about doing a great write-up about all we did and saw, but it seemed too daunting of a prospect. So instead, I thought I’d do some posts with photos and some captions and leave it at that. We arrived in Istanbul on a Friday evening, got a meal and then settled into our hostel in Kadikoy, which is an Istanbul suburb on the Asian side of Istanbul. Being on that side of the Bosphorus happily meant taking a 20-minute ferry ride over to the European side each day, as that is where most of the major sights are located. 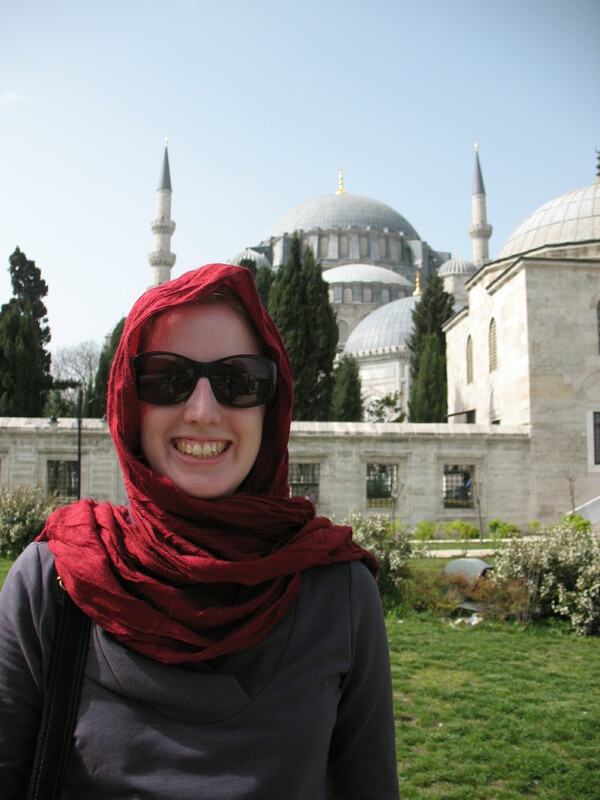 On our first day, we followed one of the walks described in the most recent edition of Rick Steves’ Istanbul. 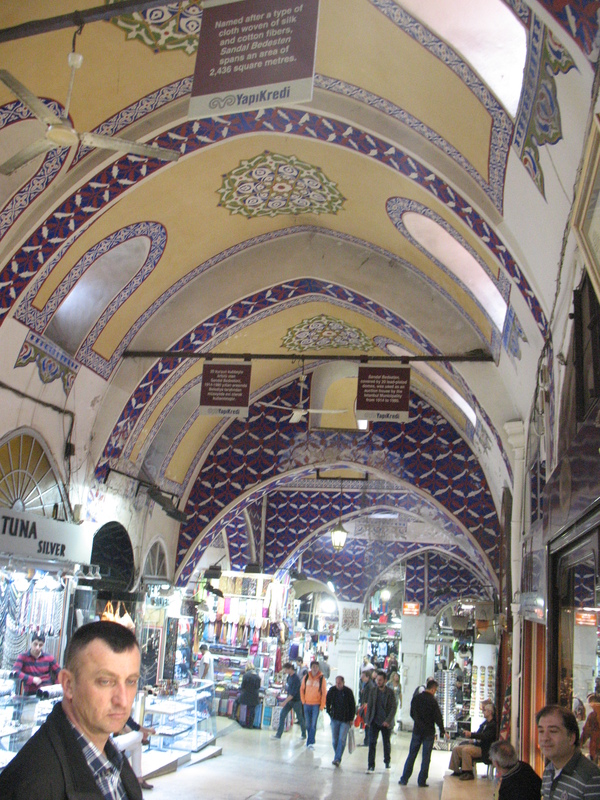 First major stop: the famous Grand Bazaar. I didn’t buy anything there, but it was fun to roam about and see what was there. 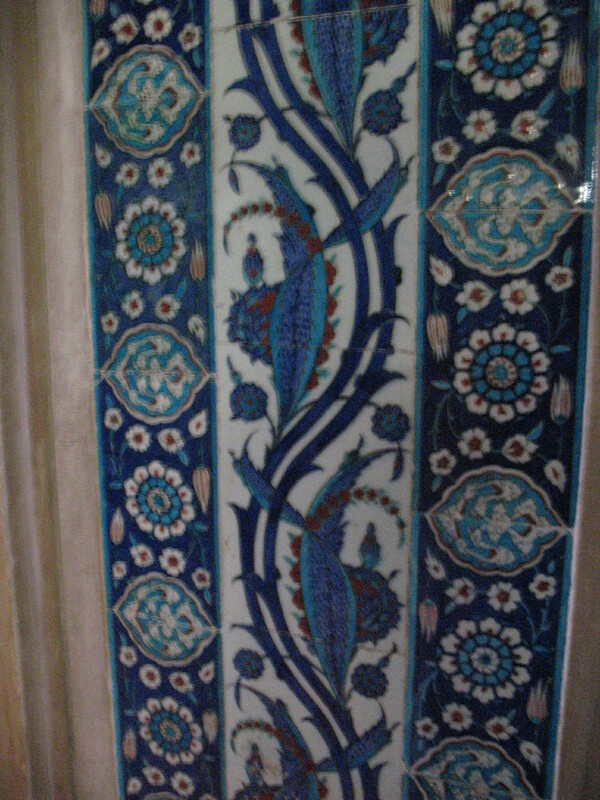 After a bite of lunch, we next went to the Süleymaniye Mosque, which would turn out to be one of our favorite places of the trip. It’s a huge mosque, very elegant and serene inside. 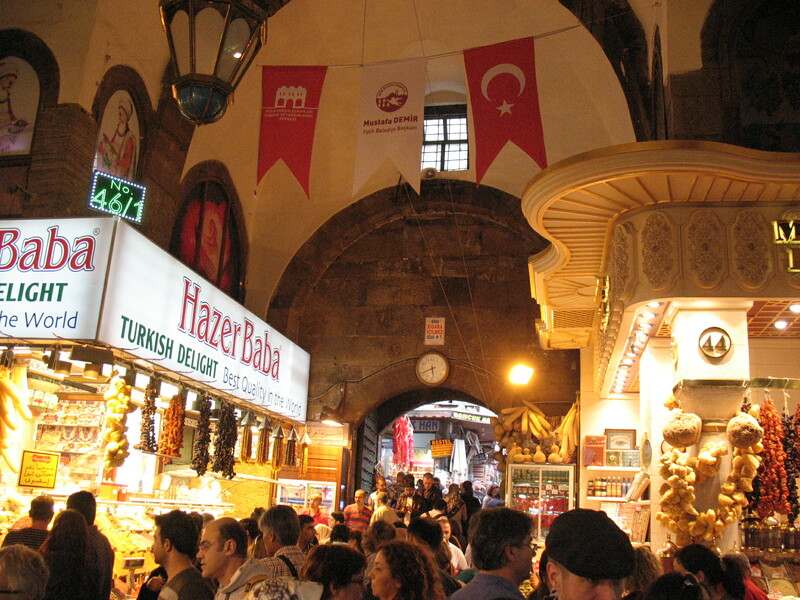 Then we returned to the market scene, heading down the shop-lined streets to the Spice Market, where I bought a box of lovely Turkish delights. 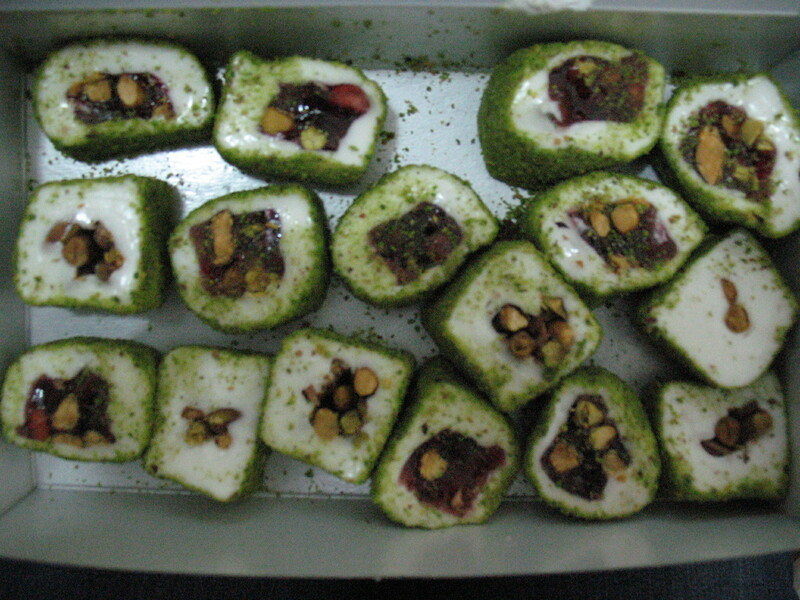 (When I was in middle school, I had a Turkish delight – probably rosewater flavored – and thought it was awful. I clearly was having the wrong kind. It is only now that I better understand Edmund’s temptation in The Lion, The Witch and the Wardrobe). 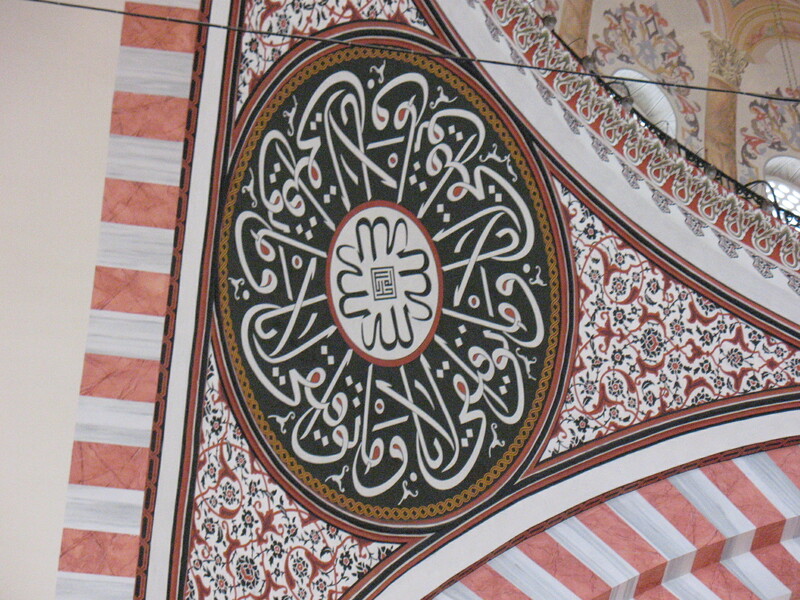 We backtracked a little to see the Rüstem Paşa mosque, which is lined with beautiful Iznik tiles. 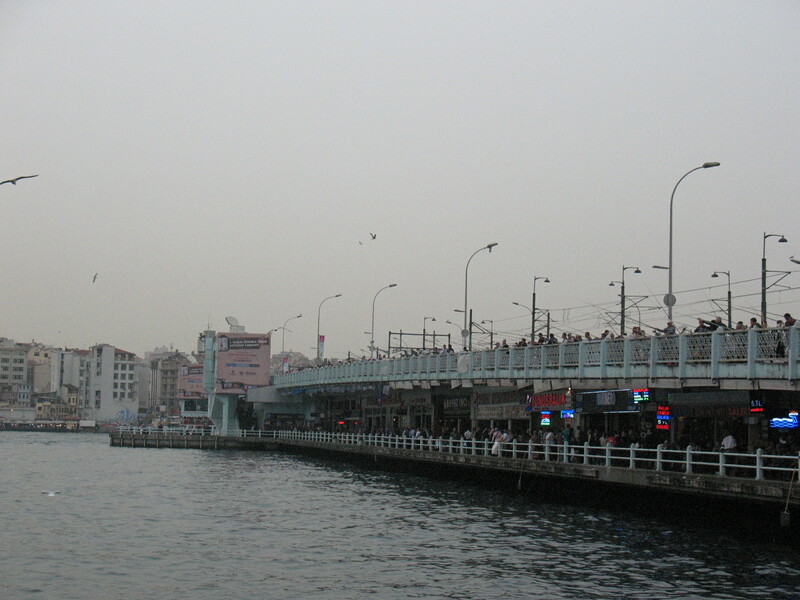 The day was capped off with a journey across the Golden Horn on the Galata Bridge into the New District. 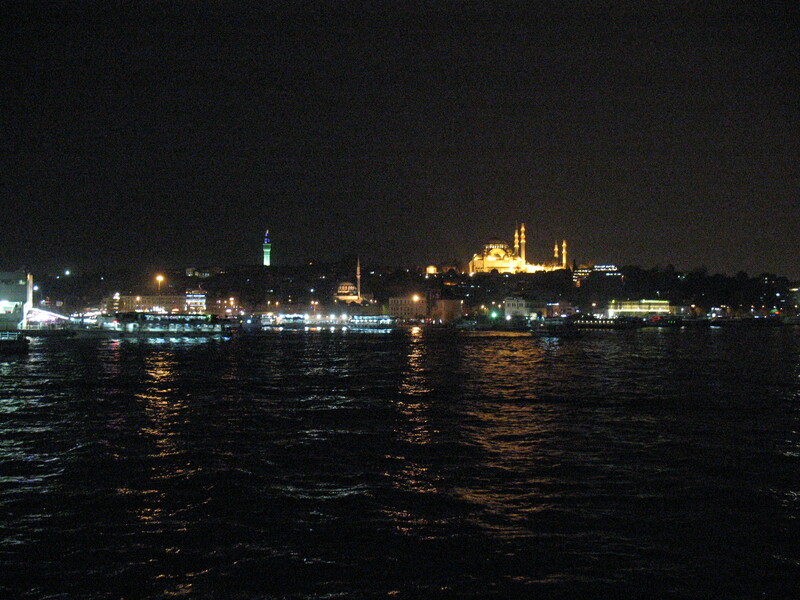 On the ferry ride back to Kadikoy, we enjoyed the illuminated skyline of Istanbul.